Roenis defected from Cuba in 2010, in hopes of landing a spot with a major league team. 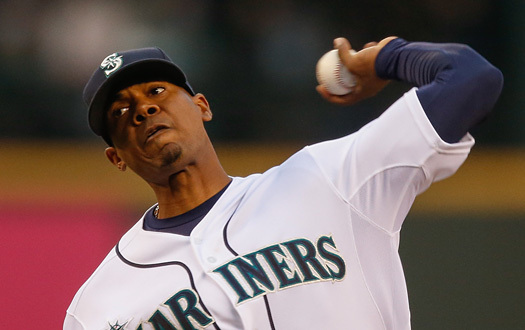 He signed with the Mariners in 2011, and promptly tore his way through the lower minors. He spent a season each with the High Desert and Jackson teams in the M’s minor league system, finally earning a Spring Training Invite in 2014. They were so impressed, he started the season in the rotation, and went on to pitch his first shutout in the Majors on June 1st, 2014. Develops nicely into a 4th starter providing nice innings production while also striking out a ton. As a defector from Cuba, not alot is known about his past. But he has constantly been humble and appreciative for what he has achieved.